Way to go Devin! I understand your feelings, and I think that there should be a difference in the categories of shows for each award show. Personally, I’m not a fan of reality shows. I think they’re crude and phony, and kind of a filler due to lack of any new ideas of what to put on TV. It always gives me that creepy Jerry Springer feeling when I’ve passed over some of the activity, and “bleep”, “bleep”, & “bleep”! coming out of some of those botoxed lips and chauvinistic male mouths. So I base my opinion on 1/2 a second bits which is just enough for me to say ewh! and that’s not acting to me. I can’t even imagine what goes on in the “after hours” edition of some of that. 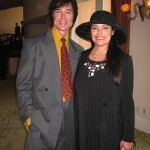 Ronn’s B&B and all other daytime shows like his take a lot of writing, studying, rehearsing and memorizing. There’s a world of difference between them and the shows that are just there for filler. But you’re right, daytime and nighttime shows are all still TV shows, and movies made for TV should not be included in the lineup because they’re on HBO etc. which not everyone has, so it’s not even fair to include them in the lineup. 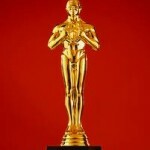 Actors working in films for the big screen, definitely Oscar consideration only. Thanks for letting me spew.